People who were born in the nineties have grown with Harry Potter story. It is based on a popular book and was filmed in London. Therefore, it is natural that many people from all across the world always visit to see this famous “Harry Potter Studio” in London. This Studio Tour is in Watford which is just outskirts of London and one can easily reach there by bus, car or coach from London. The American counterpart is however slightly different from this permanent exhibit. 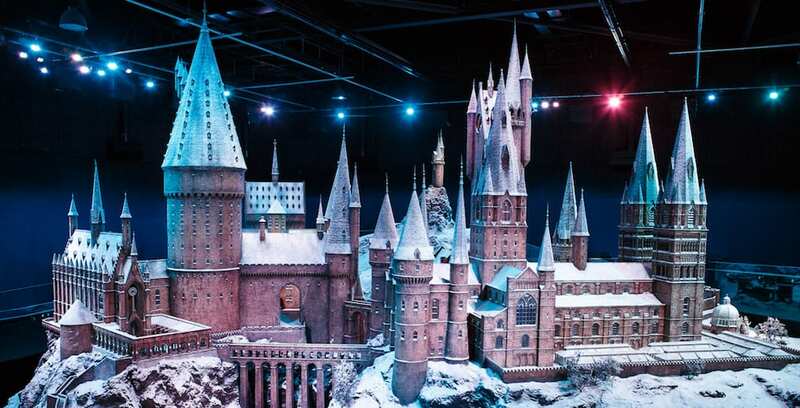 By visiting this Warner Brother’s HARRY POTTER STUDIO TOUR in London, you can learn almost everything about all the 8 films, and you will also get some idea behind various moments, scenes, props and cast secrets. You can conveniently reach the “Warner-Bros-Studio-Tour London” by public transport that starts from Central London. You may take a local train from London-Euston to Watford Junction. It will take around 20 minutes. The cost of return ticket is £17. You can also purchase it in advance at the station or online. If you possess an Oyster Card then you can get discount. You must buy your ticket for studio tour in advance by selecting your date and time as well. This is needed in order to control the number of crowds at any given time. For adults, the ticket costs £41 and for children it is £33. You may have to pay additional costs in case you prefer to buy souvenir photos. There is a facility for getting lunch at the site, however if you want you can also bring your lunch. What can you expect from Harry-Potter-Studio-Tour? The film franchise of Harry Potter series was mostly filmed in Leavesden for over 10 years and after the film was finally completed in 2010, the entire studio was dedicated by Warner Bros. complete with costumes, film props, and sets. Complete Studio Tour is focussed mainly adjacent to the location where all 8 films were produced and hence you can get the feel of first-hand experience about Harry-Potter films. Those who are a fan of this film can fully immerse themselves in the Harry Potter’s world and all that stuff that were used in those 8 movies. If you are a fan of this series then by visiting the studio you can relive the wonderful magic of Harry Potter. So, ensure that you spend enough time to learn how the films sequence were really made. The experience is so magical that you should never miss the opportunity to visit the place if you ever happen to be in London. You will get to experience the film setting and also get an opportunity to interact with costumes and props. You will notice that those people who work here in the Studio are all Harry-Potter fans. They are extremely helpful and are ready to tell their own stories about Harry-Potter and also patiently allow you to take as many photographs you want to click around that location and will be ready to hold your stuff. After you complete your tour, you will know almost everything about this film making. You will know the meticulous details considered while making the Harry-Potter films. This visit is the right opportunity for you to unleash the child in you. A grand opportunity to take brilliant photos of all your favourite sets. In order to get complete guidelines about this studio tour, you can also visit the website: http://www.tripindicator.com/london-harry-potter-warner-bros-studio-tickets-tours.html.